The last one happened at the London Open (I suspect it happened 2:06 in this match) and the physio today told me, that I was looking at 6-9 months of pain and rehab there. Enough about injuries! I have signed up for the European Championships in Portugal in January. 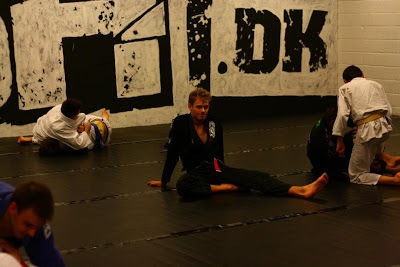 It went pretty well last time, but with this years preparations consisting mostly of pullups and stretching (all I seem to be able to do), I don't have high expectations for a similar result in the black belt division. I've actually managed to roll a bit today and yesterday, though. Everything hurts and I feel tired, weak and out of shape. But I'll do my best and I am sure the Euros will be a great experience no matter what.